Airwheel Electric Self-balancing Scooter Q5 Goes Green. Abstract: Airwheel Q5 is a very popular model amongst all lines of Airwheel. Q5 is powerful and able to get through all terrains in the city. In city, there is a rich selection of goods. The city life is full of entertainments, by which you will not feel a shred of boredom. The advanced transport system and a good many public transportation could take you almost everywhere quickly and conveniently. An utterly satisfactory city life? The answer is definitely no. For all the excellent transport system and the great number of public transportation, people are always fed up with traffic jam. Regardless of the distance, the traffic congestion is so common that people have conditioned themselves into waiting for hours at stretch in the event of traffic jam. Therefore, people resist asking is there a kind of personal transport free from the terrible traffic jam. Much to our relief, Airwheel electric self-balancing scooter appears as an optimal personal transport. When Airwheel Q5 comes out, it is rather familiar to us. Airwheel is a prominent brand as to the innovative commuting vehicle. 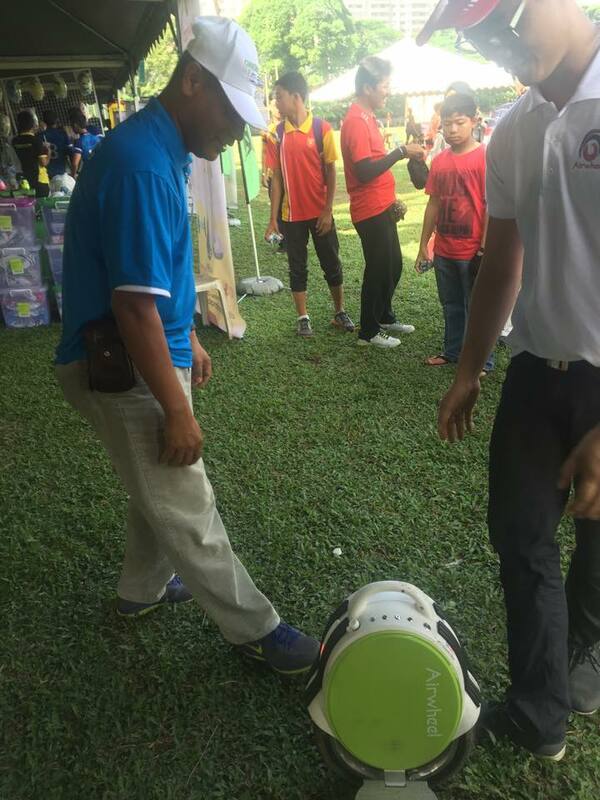 Through years’ development and research, the intelligent self-balancing scooters used for short-distance trip are part and parcel of products. By means of hard-earned patented core technology, the scooter is more stable and safe. Guaranteed by various patents and international certificates, Airwheel turns into a leading manufacturer of scooter in this sector. Airwheel Q5 is a very popular model amongst all lines of Airwheel. Q5 is powerful and able to get through all terrains in the city. The aerospace control theory and fuzzy software algorithm are introduced in Airwheel electric scooter, so it is named as scooter or intelligent vehicle. Compared to the traditional transport, Q5 is more slim and suitable for a short-distance strip. On the account of its compact size, it can weave through the crowded road; on the account of its light weight, it is convenient and easy to carry everywhere at will. Airwheel electric self-balancing scooter Q5 is convenient to cover short distance. On the account of its compact size, it can weave through the crowded road. It gives you freedom from getting into the cramped bus and traffic jam while driving on the crowed road. Airwheel Q5 weighs 11.5 kg, convenient to carry and eco-friendly. Not surprisingly, it becomes the favourite of people.